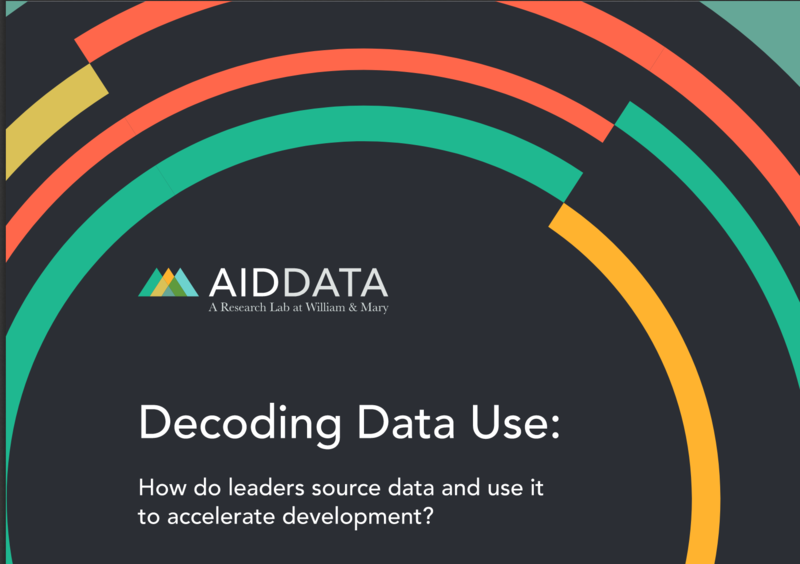 That’s from AidData’s new report Decoding Data Use: How leaders source data and use it to accelerate development, based on a survey of “3,500 public, private, and civil society leaders [on] how they find and use evidence in their decision-making” (constructed sampling frame, likert scales and fixed set questions). Overall, the report reinforces the idea that governments are best positioned to use national statistics and that those capacities should be developed. 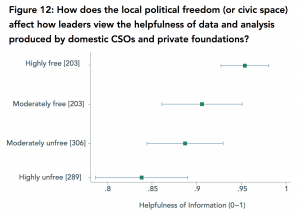 Data provided by civil society and generated by publics (aka: citizen generated data) not appear to be making much waves. It’s seen as more useful in contexts where civil society is respected more generally. 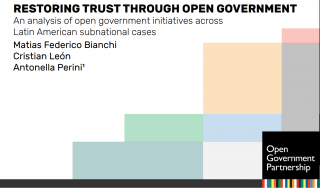 The report argues that this presents an efficiency problem for government decision making, and that INGOs can help increase the credibility of civil society data through partnerships. Leaders in LICs and MICs appear to be paying increasing attention to this burgeoning information source. 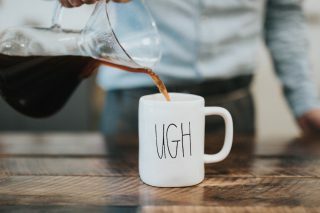 CSOs and private foundations were the second most popular source of domestic data and analysis — 58 percent of respondents reported using this information and 88 percent of those leaders found it to be helpful when they did. 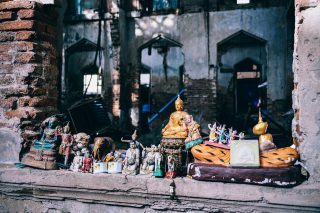 Unfortunately, the number of observations for domestic CSOs and private foundations was too small to report a breakdown at the individual organization level with confidence. So keep clamoring, civil society data nerds, and don’t be shy about cozying up with big machines of international development to get a seat at the table. I guess this is what a revolution looks like.